Since the kick-off meeting on 28 September 2009, PERSUADE has made good progress. 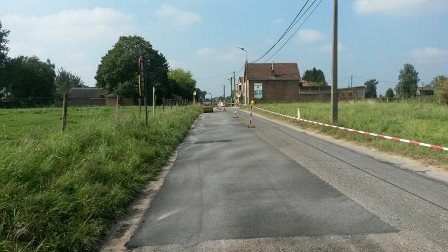 This EU funded project aims at developing the experimental concept of a poroelastic road surfacing (PERS) into a feasible noise-abating measure as an alternative to, for example, noise barriers. 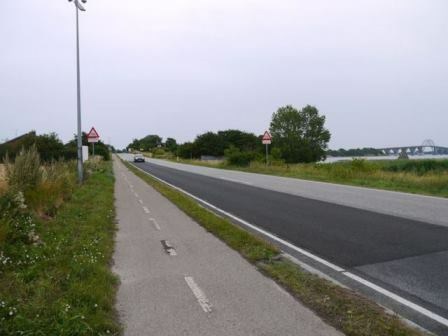 Early PERS test tracks in Japan and Sweden have demonstrated that extreme noise reductions can be achieved (up to 12 dB(A)) in comparison with conventional dense asphalt concrete or SMA pavements. Expensive and intrusive noise barriers would hence become redundant in many cases. 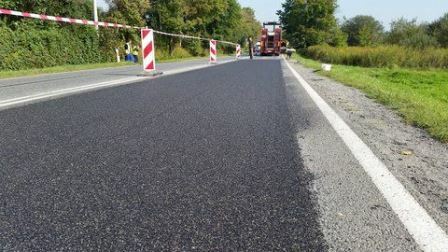 The specific feature of this new type of road surfacing, invented in Sweden in the late 1970’s, is that it consists mainly of rubber granules from recycled car tyres, bound with a synthetic resin, such as polyurethane. It may also contain mineral material (stone aggregates) and chemical additives to enhance durability and skid resistance, as tried out in Japan and Sweden in previous projects. It contains no bitumen. So far, its inadequate durability has been the major barrier for its use as a noise abatement measure, and this is still the case. PERSUADE has been scheduled for a duration of six years and an overall budget of 4.5 million €. Twelve partners from seven European countries are cooperating in this project, including research institutes, universities and companies representing the sectors of industry involved. In the first half of the project, two promising mixes have been developed in the laboratory. This phase has been followed by testing of the mixtures on small scale “pilot” test tracks (typically 10 – 50 m²) A first full scale test track was built in Kalvehave, Denmark in June 2013, with a length of 75 m, a width of 3,5 m and a thickness of 4 cm, but this test track was replaced in June 2014 by a test track using an improved mix. In August - December 2014 five more full scale test tracks have been built in Belgium, Sweden (two), Poland and Slovenia, with a length varying between 20 m up to 75 m. These consist of partly different mixes, are constructed in different ways and are laid on roads carrying different traffic volumes. The test tracks look very nice so far and the noise reduction compared to conventional asphalt pavements is remarkable (in one case 11 dB). An intensive monitoring program has been started on each of the test tracks in order to extract as much information as possible from them regarding a variety of relevant parameters: noise reduction, durability, skid resistance, rolling resistance, winter performance, etc. Test track in Nova Gorica, Slovenia, built in december 2014 (length 20m). This poroelastic block pavement is made of PERS tiles glued onto cement concrete blocks. 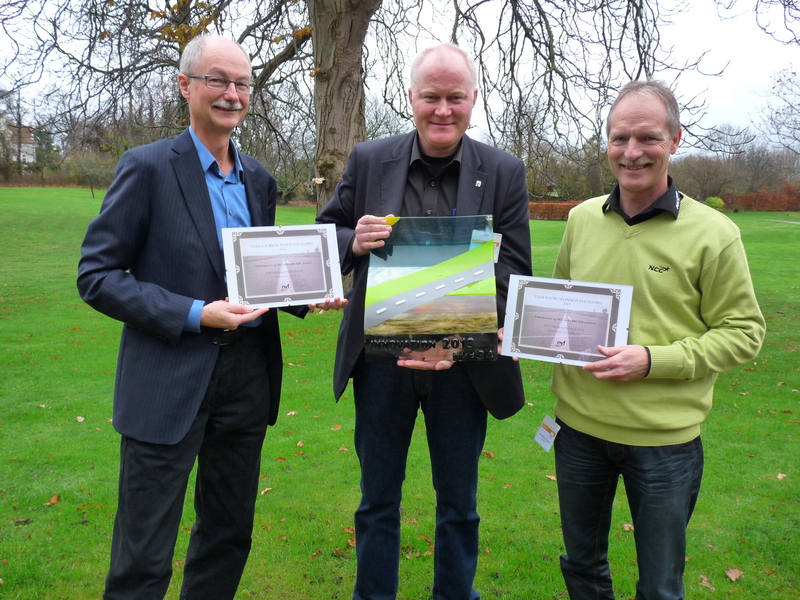 The Danish partners of the PERSUADE project, the Danish Road Directorate and contractor NCC, in December 2013 received a Danish award for “innovation in road building” for their work in the PERSUADE project.